In 1964 Abraham Kaplan said: “Give a small boy a hammer, and he will find that everything he encounters needs pounding”. Another famous version of this is known as Maslow’s hammer, and it goes like this: “if all you have is a hammer, everything looks like a nail”. 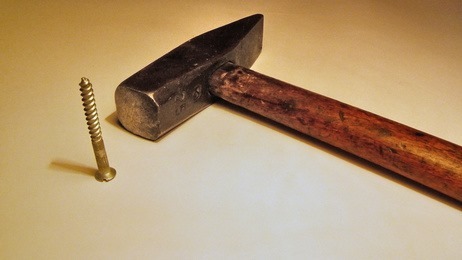 This post is about how every time there’s a new tool, new approach or an old idea made new in software, it becomes like a hammer in a small boy’s hands. And it will be used to pound on everything. The neat thing about this is that if Dependency1 has dependencies of its own, the IoC container will resolve them for you. This is the problem that IoC containers solve. It is intimately related to the Dependency Inversion Principle and constructor injection. Usually the calls to the IoC container are spread all over the place, not only in the constructor. So what is the problem of doing this? First, that code depends on a particular IoC container, so if you want to share it with someone that is using another IoC container then tough luck. Second, you need the IoC container to instantiate that type, it won’t work without it. This becomes glaringly obvious when you find a code base where the unit tests need an IoC container to run. It seems that the reasoning for using IoC containers was: “it’s a new thing we should all use, you should never new up things in your code, so replace them all with IoCContainer.Resolve, problem solved”. Most IoC containers allow you to specify a “named mapping”, i.e. you can create a rule that says when IType is requested with name “A” resolve with TypeX, when requested with name “B” resolve with TypeY. IoC containers were not designed with this type of scenario in mind, so much so that the above approach has the serious limitation of requiring a new if statement and a new IoC mapping every time a new template type is added. In .Net generics where introduced in version 2.0 of the framework. Before generics were introduced every time you used a collection, for example a List, you would add its elements as type object and when you wanted to retrieve them you would have to cast them to their original type (or a base class of that type). The example above also illustrates what happened with value types. They had to be “boxed” and “unboxed”, which crudely means that the value types would have to be converted to object (boxed) and be allocated in the heap, and when they were retrieved they had to be converted back to their original value type (unboxed) and that process was slow and lead to more garbage collections. Generics solved this problem, no more casting for your data-structures and no more boxing and unboxing of value types. The where T: new(), IType means that type T needs to provide a parameterless constructor and implement IType. Instead of this IType could be passed as a parameter in MyClass‘s constructor. There’s absolutely no advantages in doing this with generics. 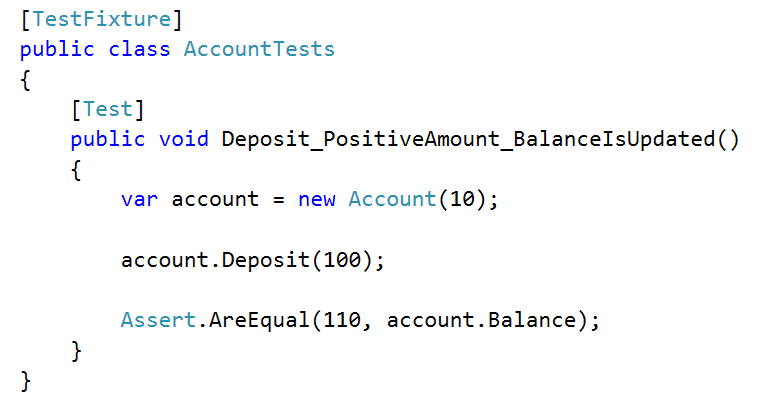 A sure sign that this is happening is if you generic type does not have any method returning any generic parameter. And you would know that if you changed any of the code in the region you would lose it as soon as you made any changes in the designer. I purposely named the regions Helpers and Managers. Two names that have no place in object oriented programming unless you are writing an application about football or something that needs a helper (can’t remember of any). Also, here’s an interesting article about the more general idea of “code folding” being a design error. 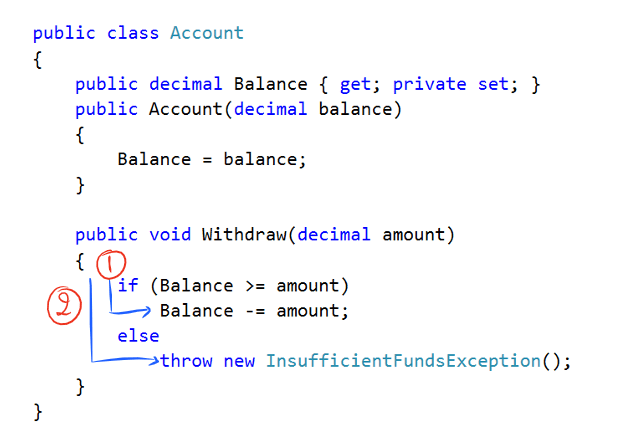 Partial classes are a more elegant way to deal with generated code. Instead of putting it all in a region on the same file that you have to edit, put the generated part in a different file and let the compiler deal with putting it all together. There’s no good reason for using partial classes if one of the partials is not generated code, but somehow partial classes became a way to deal with classes that become too big. There’s no good reason for using partials like this. The tragedy is that some of the visual studio templates use partial classes this way, if you create a new ASP.NET MVC application and select Individual User Accounts, the project is initialised with a Startup.cs with several partials. 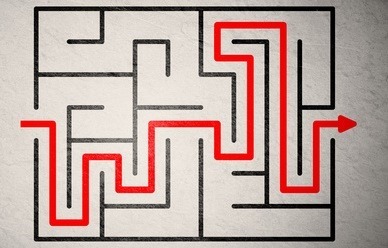 The idea behind creating unit tests, and having an automated way of testing your code in general, is that you can find problems with your code without having to test it manually. For all of this to work the tests have to follow certain rules. For example, they have to be written in a way that their execution order does not change their outcome. A very common problem is to find code bases where the unit tests share state, so they might not run if you change the order they are executed in. In unit testing you are supposed to execute some code and verify if your expectations about that code are verified. There’s even a popular pattern for writing unit tests named “Arrange Act Assert” where you write some code to setup the state you want to test, call a method, and verify the result of calling that method. The only way this test will fail is if an exception is thrown. I don’t really have an explanation for why this is so prevalent in the software industry, maybe it’s because it’s dominated by men and everybody knows that “real men don’t read the instructions”. Maybe technology, because it evolves so quickly, is frequently learned by word of mouth, and this process becomes a little bit like that game of Chinese whispers where details are lost along the way. How about you dear reader? Do you think this just happens in software, or do you think other areas have their own version of “The daily WTF”? Have you seen some creative use for some tool/technology that completely misses the point? Please share in the comments!